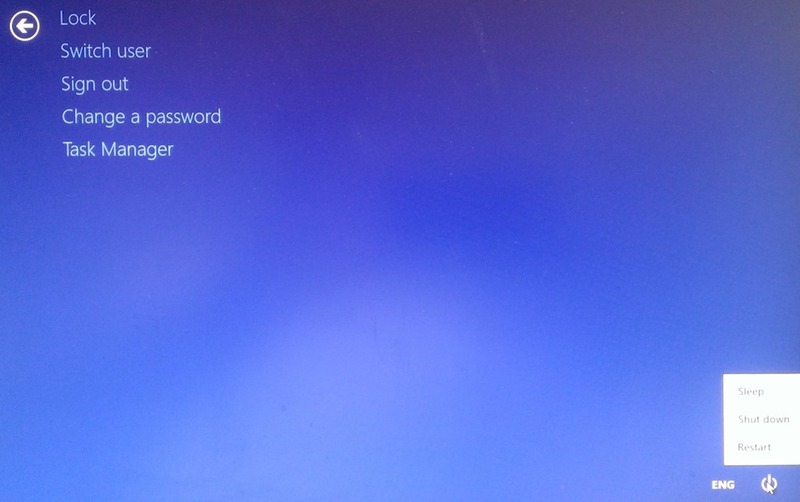 With Windows 8.1 (for ARM or x86), there is rarely the need to shutdown a device anymore. Most of the time I just come in and out Standby and that’s about it. Of course there is always the old CTRL+ALT+DEL which bring up the screen that allows you to hit shutdown in the bottom right, but it’s not intuitive either. 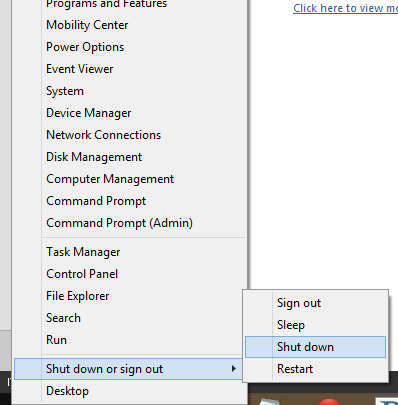 Here are 3 other options for quicker shutdown menu access. In the c:\Windows\System32 you will find an app called “SlidetoShutDown.exe”. Just add it to your taskbar and/or start menu (right-click in file explorer). When you click on it (start it), it will show a “slide down to shutdown” Window. 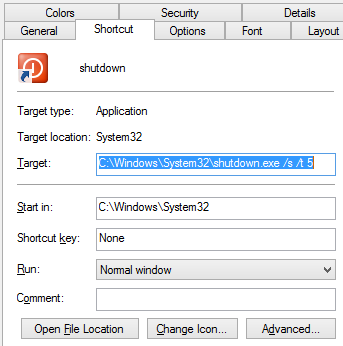 3) More complex – shortcut creation needed – 1 click: use a shortcut with the right parameters to call the shutdown app and pin it on the start/taskbar. Create a shortcut to the app wherever you want (e.g in your My Documents folders). Right click and select properties and add (without the “) the following after the “.exe”: ”/s /t ss” (ss = a number in seconds between 0 and 10 years before the shutdown is effective. You can use the “change icon” option to select the icon you like, such as below with the “old” shutdown symbol. You can use /r instead of /s to restart the computer versus just shutting it down. The /l parameter will log you out. This entry was posted in Computers and Internet on November 7, 2013 by Olivier.